When asked to describe herself, Sharolyn just says, “I am His, I am Music, I am me. I love what I do. It is more than an honor and a privilege. I am humbled daily.” But what that doesn’t tell you? Sharolyn is a private music therapy practice owner, a nationally registered board certified music therapist, a nationally certified music educator and instructor, university guest lecturer and professional speaker/presenter, vocal and instrumental ensemble clinician, DRUMBEAT drum circle addiction intervention specialist, biofeedback and neurobiofeedback specialist, and a talented musician with over twenty-five years of music, music composition, and music performing experience in 14 languages [English, Italian, Spanish, German, French, Russian, Hawaiian, Greek, Latin, Swahili, Japanese, Arabic, Hebrew, & ASL (American Sign Language)] across opera, theatre, Broadway, classical, Latin, gospel, and Jazz idioms. She has spent over 30 years studying music and over 20 years teaching music and performance lessons privately with concentrations in voice and piano. She also teaches guitar and world percussion. She is the founder, owner, and lead music therapist of Gsus Music Therapy Services & Center. She is also the founder, lead music therapist, and creative director for Gsus Harmonies Nonprofit organization. Sharolyn specializes in biofeedback and neurobiofeedback, homeopathy and nutrition, and the psychology, psychotherapy, anatomy and physiology and neurology of musical function in application to human behavior through music therapy. She is also the bandleader for Gsus Collective. Sharolyn holds a Bachelor of Music Education with a Certification in Jazz Studies and a Minor in Psychology from Texas State University-San Marcos. She holds a Graduate Certification in Music Therapy with a focus in Psychotherapy and a Master of Music Therapy with a Minor in Latin Music Studies from Shenandoah Conservatory at Shenandoah University. She has also completed post-graduate studies in Guided Imagery in Music (GIM), religion and spirituality in health care and therapy, homeopathy and nutrition, biofeedback, and neurobiofeedback. 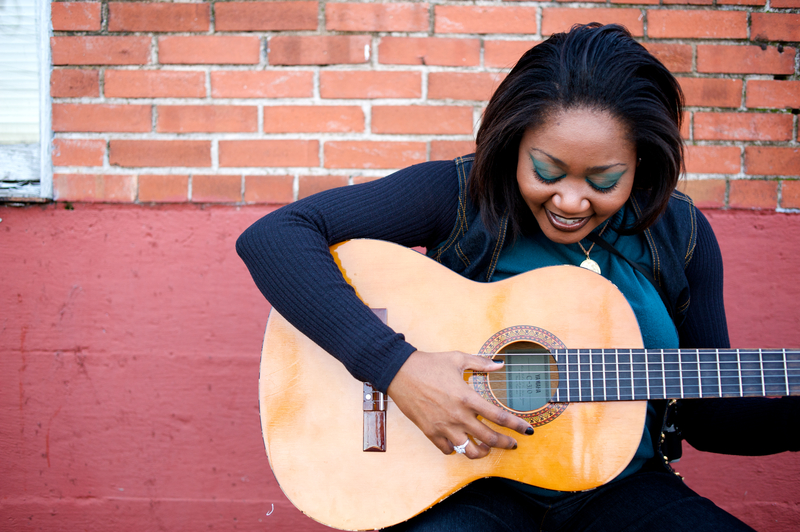 Sharolyn is currently enjoying the adventures of clinical work and research, the adventures of private practice ownership, making a joyful noise, composing, arranging, recording and performing music, helping others heal through music – both music therapy and music lessons – and the journey of SONSHIP. She is the proud wife of Chris Lippke – who is also a professional musician, a music educator, a Board Certified Music Therapist, and business partner. Together they have dominion over many interesting creatures – most intriguing of which is Knuckles Satchmo, Gsus Music Therapy’s miniature pot-belly therapy pig and session companion. Whenever possible, both she and her husband serve with the Christian House of Prayer music ministry any way they can. In her free time, you can find Sharolyn engaging in her favorite pastime – working on her Bucket List! Through what Sharolyn calls a series of horrifying life happenings, she discovered the field of music therapy. Music therapy reaffirmed her passion for music and compassion for the human condition, supported her personal belief that music is contagious and can change our lives, and certified her belief that music is therapeutic and good medicine for the mind, the body, and the soul – just like laughter. As a music educator, Sharolyn infuses elements of music therapy, biofeedback, and neurobiofeedback into her teachings. As a board certified music therapist, Sharolyn works with individuals and groups from in the womb and through the birthing process (perinatal hospice), through the broken places in life (PTSD, anger management, trauma and recovery, addiction recovery, pain management, stress, communication, marriage, motor skills, functional life skills, cardiovascular health, wellness, palliative care, depression, burn out, and much more), until hospice and death and through the grief and bereavement process. Music has the ability to soothe, to heal, and to bridge gaps in ways that words cannot. Music is above and beyond words. Sharolyn sets a high standard for her musicianship, her teaching methods, and for her clinical and medical music therapy services by striving to make a positive difference and lasting change with everyone she works with through excellence, as well as a positive difference and lasting change with everyone she meets. Her focus is the overall wholeness and well-being of the individual in spite of life’s storms and trials, and using music therapy to achieve our highest level of functioning. Her personal philosophy in life is to BE the CHANGE that she would like to SEE in the WORLD. She says that she is here to infect the world. Music is above and beyond words. Research tells us 93 % of human communication is nonverbal. So let’s talk less and make more music! Are you ready to start your journey in music therapy? Are you ready to begin your private music lessons adventure? Do you need a professional musician for your event or gathering? Would you like to begin with your free 30-minute consultation? Give Sharolyn a call at 512.754.9631.